When summer’s around the corner, it’s an excellent idea to go birdwatching in Mumbai. Where would you do it? At the many bird sanctuaries in and around, of course. Surprised? Well, thanks to a few natural surroundings in Mumbai and many away from the city, there are some great spots to feast your eyes on exotic and rare species of birds. Whether you are in love with birds, love nature or just like going on treks, we have listed 12 of the best bird sanctuaries in Mumbai (and around). This park is India’s first exotic bird park. At this interactive park you will find an walk-in aviary that houses about four hundred different species of birds. Star attractions at this park are the Rainbow Lorikeet, African Grey Parrot, Carolina Wood Duck, and the Chattering Lory, among many others. Once you are done exploring – it should not take you more than three hours, you can head next door to the Essel World Amusement Park and enjoy a couple of thrilling rides. The Sanjay Gandhi National Park is one of the closes natural parks to Mumbai. In fact it is situated in the city itself. Home to a variety of plants and animals, the green cover here, also attracts a variety of birds. If you hit one of the public walking trails in the park, you will come across beautiful birds that are perched up high in the trees. The ideal time to visit the Sanjay Gandhi National Park to watch the birds is in the morning, before the sun is out in full force. Some birds to see here are kingfishers, sun birds, flycatcher, and hornbills. 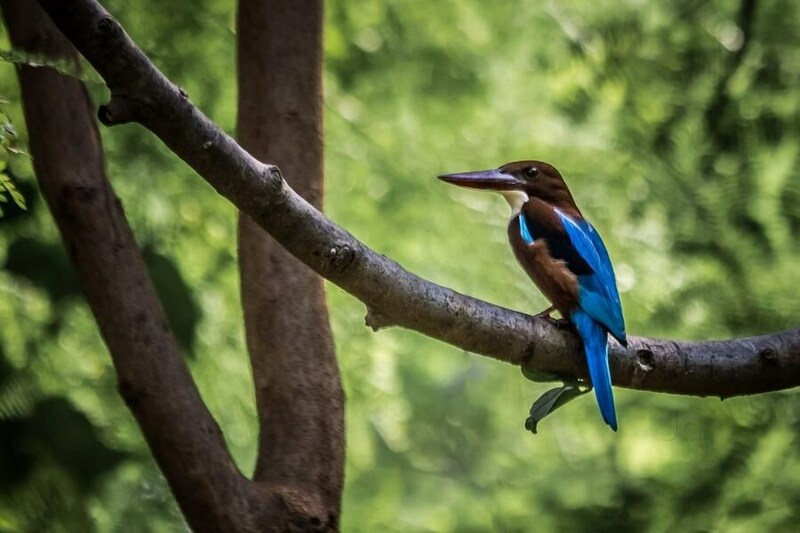 Located close to the Mahim creek, the Maharashtra Nature Park is home to more than eighty species of birds. Everyday, especially on the weekend and on holidays, tons of bird enthusiasts drop by at this park to get glimpses of bulbuls, cuckoos, and a variety of parrots. During the winter, you might be able to spot a few seagulls at the creek nearby, some even make their way to the park. After you have finished exploring the park, head a few kilometers away to Paramount for a nice early morning breakfast of bun maska or kheema pav. Not exactly a bird sanctuary, but the Bombay Panjrapole is a space that houses stray and abandoned birds and animals. If you are an animal lover, you can head to this place and feed the animals and birds to make your own small contribution toward caring for the animals. You might want to note that there is no photography allowed and that you have to pay a small donation to pet and feed the birds and animals. This is a one-of-a-kind sanctuary in Thane and has recently been made open to the public. Designed by the mangroves cell of the Thane municipality, the Thane Creek Flamingo Sanctuary is aimed at protecting the flamingo species of birds. Apart from bird spotting, at this sanctuary you can enjoy nature walks as well as boat rides. Please note, a fine of Rs. 2000 can be collected by authorities if someone is found littering at the sanctuary. One of the smaller bird sanctuaries in India, the Karnala Bird Sanctuary is located in Panvel that is not too far off from Mumbai. Go here to enjoy viewing over 300 different bird species. The best time to visit is during the winter, that is when then migratory birds come to visit the park. The bird sanctuary is also a good spot for a one-day picnic and trekking. One can trek to the Karnala Fort that is located within the premises of the bird sanctuary. Spread over an area of 1765 hectares, this bird sanctuary came into existence thanks to the efforts of the Maharashtra government and the Bombay Natural History Society. The sanctuary is home to different species of birds such as the peafowl, heron, egret, and much more. During the migratory season, you will be able to see birds such as flamingos, pintails, and white storks. Located close to Pune, the Bhimashankar Wildlife Sanctuary is a hotbed for wildlife travellers to enjoy some time in natures company. At this sanctuary, you will find plenty of plant and animals species, that include a few birds. There is no entry fee to the sanctuary if you enter by foot. However, if you want to drive through the Bhimashankar Wildlife Sanctuary, you will have to pay fee of Rs. 10 per person for a two-wheeler and Rs. 20 per person for a four-wheeler. Although the bird sanctuary at Mayureshwar is closer to Pune, it is worth the drive from Mumbai because it offers sights of some rare, exotic birds such as the laughing dove. This is one of the only parks in Maharashtra that lets you drive through with your own vehicle. Go here in the summer or during the early monsoon period. 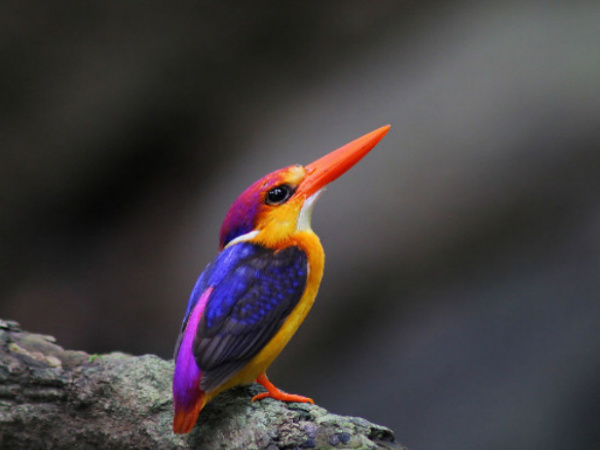 For a more detailed visit, hire a guide who will show you where to spot exotic birds. Guides cost around Rs. 200. You will have to pay a fee of Rs. 50 to carry your camera inside the park. The Mayani Bird Sanctuary is built on an old British dam. It lies in the Vaduj region of Maharashtra and is a great place to go to spot migratory birds. At this bird sanctuary near Mumbai, you will find around 600 migratory birds perched on trees. 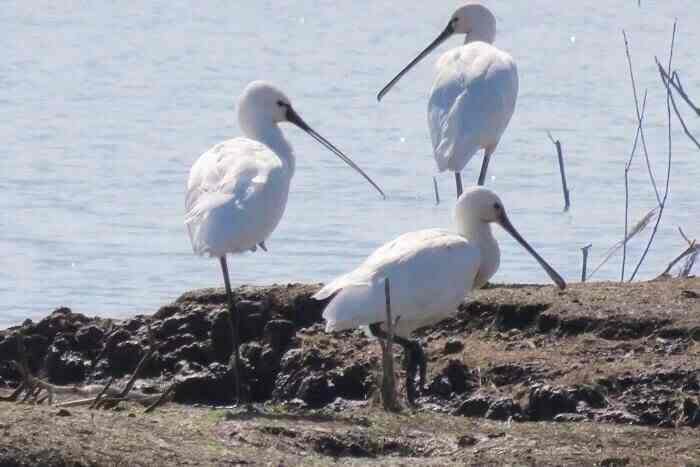 Superstar birds that live here are atolia sps, storks, and the common spoonbill. To get the best view of the birds go before the sun is at its peak and temperatures rise. Situated in Solapur, the Great Indian Bustard Sanctuary is spreads over 472 square miles of land. The part was created to preserve the bird species called the Great Indian Bustard that is on the endangered species list. The Great Indian Bustard Sanctuary is also home to other species of local birds and a few migratory birds who come here during the winter season. This park is a great place to grab a few pictures of birds. 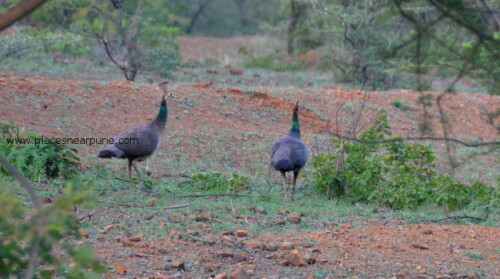 The Umred Karhandla Wildlife Sanctuary is small located in Nagpur. Although the park is majorly a tiger reserve, there is a small portion near the lake from where you can see rare species of bird. The best time to visit in during the monsoon and the winters when temperatures are cooler. Here are the 12 best bird sanctuaries in Mumbai and around. If you think we’ve left out any hidden gems or missed out on some obvious choices, do let us know in the comments.